Structured Data is information that is set out in a way which makes it easy for a search engine to read easily. Some examples include XML markup in XML sitemaps and schema vocabulary found in JSON-LD scripts. In Schema, Structured Data, and Scattered Databases such as the World Wide Web, I talked about the Dipre Algorithm in a patent from Sergey Brin, as I described in the post, Google’s First Semantic Search Invention was Patented in 1999. That patent and algorithm described how the web might be crawled to collect pattern and relations information about specific facts. In that case, about books. In the Google patent on structured data, we see how Google might look for factual information set out in semi-structured data such as JSON-LD, to be able to answer queries about facts, such as, “What is a book, by Ernest Hemingway, published in 1948-1952. In particular, for each encoded data item associated with a given identified schema, the system searches the locations in the encoded data item identified by the schema as storing values for the specified keys to identify encoded data items that store values for the specified keys that satisfy the requirements specified in the query. For example, if the query is for semi-structured data items that have a value “Ernest Hemingway” for an “author” key and that have values in a range of “1948-1952” for a “year published” key, the system can identify encoded data items that store a value corresponding to “Ernest Hemingway” in the location identified in the schema associated with the encoded data item as storing the value for the “author” key and that store a value in the range from “1948-1952” in the location identified in the schema associated with the encoded data item as storing the value for the “year published” key. Thus, the system can identify encoded data items that satisfy the query efficiently, i.e., without searching encoded data items that do not include values for each key specified in the received query and without searching locations in the encoded data items that are not identified as storing values for the specified keys. The page then points us to the Structured Data Testing Tool, to be used as you prepare pages for use with Structured Data. It also tells us that for checking on Structured Data after it has been set up, the Structured Data Report in Google Search Console can be helpful, and is what I usually look at when doing site audits. In general, this specification describes techniques for extracting facts from collections of documents. 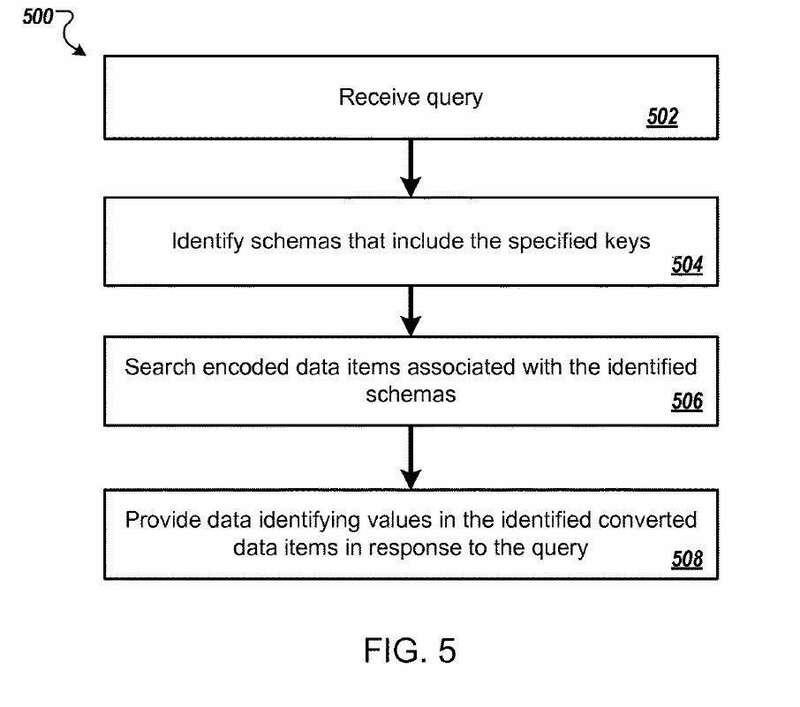 The aspect further includes receiving a query for semi-structured data items, wherein the query specifies requirements for values for one or more keys; identifying schemas from the plurality of schemas that identify locations for values corresponding to each of the one or more keys; for each identified schema, searching the encoded data items associated with the schema to identify encoded data items that satisfy the query; and providing data identifying values from the encoded data items that satisfy the query in response to the query. Searching the encoded data items associated with the schema includes: searching, for each encoded data item associated with the schema, the locations in the encoded data item identified by the schema as storing values for the specified keys to identify whether the encoded data item stores values for the specified keys that satisfy the requirements specified in the query. Methods, systems, and apparatus, including computer programs encoded on computer storage media, for storing semi-structured data. One of the methods includes maintaining a plurality of schemas; receiving a first semi-structured data item; determining that the first semi-structured data item does not match any of the schemas in the plurality of schemas; and in response to determining that the first semi-structured data item does not match any of the schemas in the plurality of schemas: generating a new schema, encoding the first semi-structured data item in the first data format to generate the first new encoded data item in accordance with the new schema, storing the first new encoded data item in the data item repository, and associating the first new encoded data item with the new schema. By using Structured Data such as in Schema Vocabulary in JSON-LD formatting, you make sure that you provide precise facts in key/value pairs that provide an alternative to the HTML-based content on the pages of a site. Make sure that you follow the Structured Data General Guidelines from Google when you add it to a site. That page tells us that pages that don’t follow the guidelines may not rank as highly, or may become ineligible for rich results appearing for them in Google SERPs. And if you are optimizing a site for Google, it also helps to optimize the same site for Bing, and it is good to see that Bing seems to like JSON-LD too. It has taken a while for Bing to do that (see Aaron Bradley’s post, An Open Letter to Bing Regarding JSON-LD.) It appears that Bing has listened a little, adding some capacity to check on JSON-LD after it is deployed: Bing announces Bing AMP viewer & JSON-LD support in Bing Webmaster Tools. The Bing Markup Validator does not yet help with JSON-LD, but Bing Webmaster Tools now helps with debugging JSON-LD. I like using this Structured Data Linter myself. The post Google Patent on Structured Data Focuses upon JSON-LD appeared first on SEO by the Sea ⚓.